Greetings SFFA members! 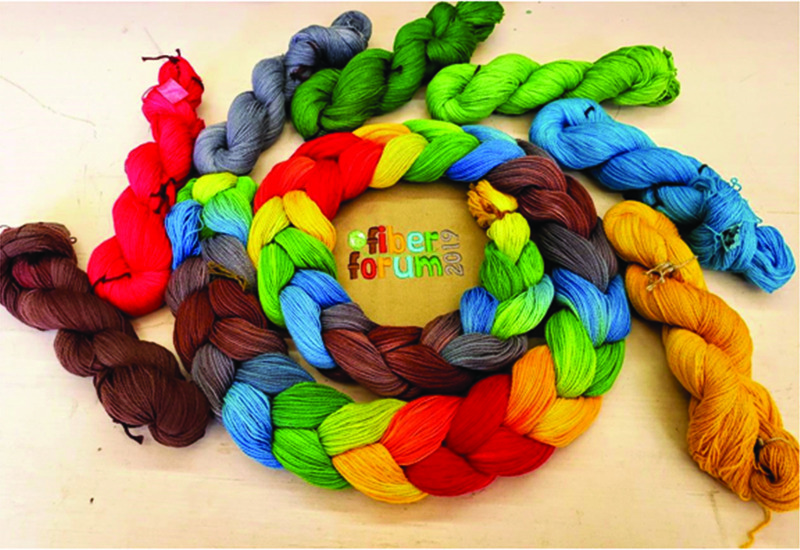 Are you ready for FiberForum 2019? Click for a brief schedule of events and activities. Our keynote speaker is Amy Putansu, Instructor of Fibers in the Professional Crafts Program at Haywood Community College. Her presentation, READAPTATION, will document her career in textiles that began in New England and continues in Western North Carolina. Her journey has led her through design of fabrics for interiors, women's clothing, high-end accessories, and contemporary fiber art. She will share her observations on fiber art in the Southeast, past and present. Our host guild for this wonderful weekend is Foothills Craft Guild, a statewide craft guild founded in 1967 and based in Knoxville Tennessee. Angela Schneider designed our 2019 logo. At Fiber Forum 2017, she saw signs of destruction and recovery from the fires that swept through Gatlinburg and the Arrowmont campus the previous November. She selected the colors for the logo based on what she saw: Char, Flame, Ember, Sky, Sprout, Leaf, and Ash. Yarn dyed by Kathrin Weber in these colors will be available for purchase in the Vendor Area.